Swemed.co.uk | Thousands of furnitures designed for health care online! Through the distribution of carefully chosen, high-quality furniture and equipment across Europe, we believe in our ability to add significant value to the health care industry. Show all categories in a list view. Makes it a bit easier to find what you are looking for! Swemed products are highly sought after, particularly by hospitals, local and county councils. Our buyers know they can trust us to deliver exceptional quality items, because each product has been hand-picked by our team of experts, and of course, at the very least, each item is CE-certified. Private health care clinics in increasing in popularity across the UK. We want to help by offering a service that you can trust to deliver exceptional quality goods. Our products are suitable for doctors’ surgeries, health centres and clinics, beauty salons and spas, also to businesses outside of the health care industry. Many of our products are tailored for individual use, both in and out of the home. We provide aids and equipment, such as wheelchairs (manual, electric and stair climbers), shower chairs, geriatric beds, walkers and walking sticks, anti-decubitus mattresses and cusions, rehabilitation equipments and much more. 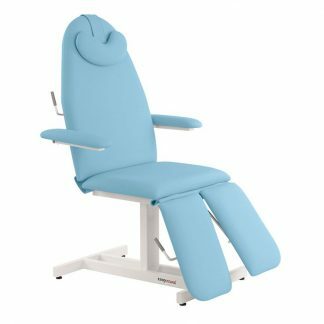 A wide range of hospital and clinic furnishings online! Welcome to Swemed.co.uk. Our expertise is in the provision of exceptional quality furniture and equipment, adapted for health care. The products we provide are carefully selected from multiple manufacturers across Europe. We take pride in offering our customers assurance, that every item they purchase is certified in both quality and safety by today’s standards. Our goal is to facilitate the work of health care professionals, by having a wide, yet easily-navigated range of smart products, that are easy to use, clean and customise. If you have any comments, suggestions, questions, or need advice: Click here.